Dr Victor Rosenson provides wisdom teeth removal and wisdom teeth treatment for the patients of Hawthorne and the surrounding area. 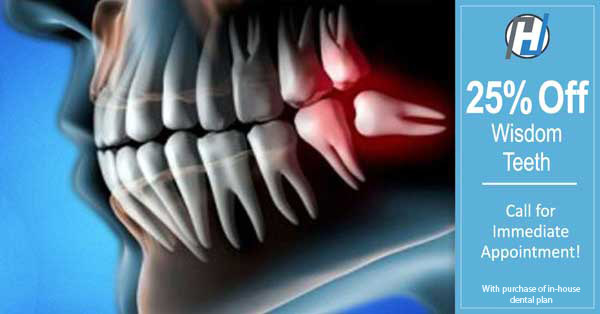 The wisdom teeth are the last molars that come in usually between the ages of 16 to 25. The human jaw has evolved to become smaller than our ancestors of the past that now leaves less room in the mouth. The human lifestyle is quite different now, and though our ancestors may have had use for these wisdom teeth, we no longer need these teeth and they can cause problems. The wisdom teeth often times do not push through the gum line or they may only partially emerge. Bacteria may enter the pocket where the wisdom tooth has partially surfaced and may cause infection of the gums that could spread to other parts of the gums and effect you overall oral health. Other reasons to have wisdom teeth removed is when the wisdom teeth become impacted into the gum line that can cause pain and also push the other teeth out of alignment as it makes room. Wisdom teeth removal is a quite common procedure. In a few cases, the teeth do not come in at all or there may not be a problems. Wisdom teeth removal may not necessary. It is best to detect any problems early, but if you are having pain or crowding of your teeth, this may be a clear indicator that you it is time for your wisdom teeth to be removed. It is recommended that the wisdom teeth are removed before the age of 30. After the age of 30, the bone becomes less flexible, making the procedure more complicated and the recovery time is may take longer. Call today to schedule your wisdom teeth examination to see if wisdom teeth removal is the right option for you. Hawthorne, Elmwood Park, Fair Lawn, Franklin Lakes, Ho Ho Kus, Midland Park, Ridgewood, Glen Rock, Waldwick, Wayne, Wyckoff, Haledon, North Haledon, Woodland Park, Paterson, Ridgewood, NJ and surrounding areas. quick, painless, honest and really cares... what else can you ask from a dentist... Dr. Rosenson was amazing! will recommend all my friends. I would rate this practice as top in North Jersey. In the past I avoided the dentist, with Dr Rosenson It's a pleasure going to the dentist! 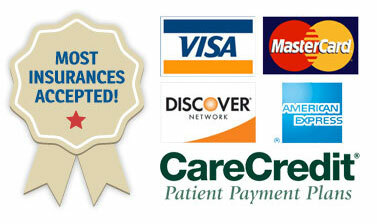 Great doctor and great dental staff, everyone is courteous and professional. The facility is modern with state of the art new equipment. And you don't sit around waiting because of overbooking. I have worked in and around the medical community for 27 years and can confidently say Hawthorne Dental is the best Dentist office I have ever encountered. 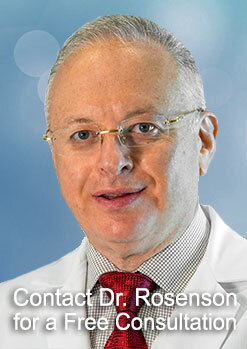 Dr Rosenson is very skilled and the results of his work are excellent. His staff is courteous and you leave feeling like you visited with a family friend.